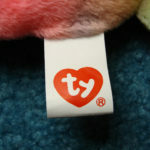 A good way to know if you have a 3rd Generation Hang Tag Beanie Baby, is if it has a 2nd Generation Tush Tag. Ty got more creative and changed the way they designed the Tush Tag from the 1st Generation and added a pretty heart and red lettering to their bottom tags. 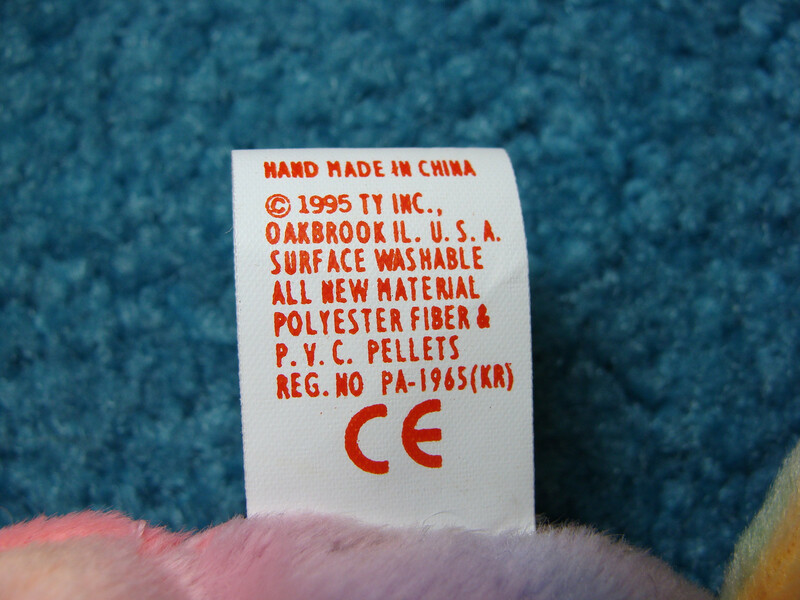 2nd Generation Tush Tags won’t impact the value of your Beanie Babies very much but they will help you identify it. There are a few subtle differences in 2nd Gen TT’s and those are pictured below. 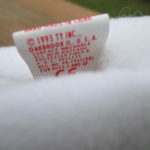 Dates on the 2nd Generation Tush Tags are the same as the 1st Generation versions, either 1993 or 1995. 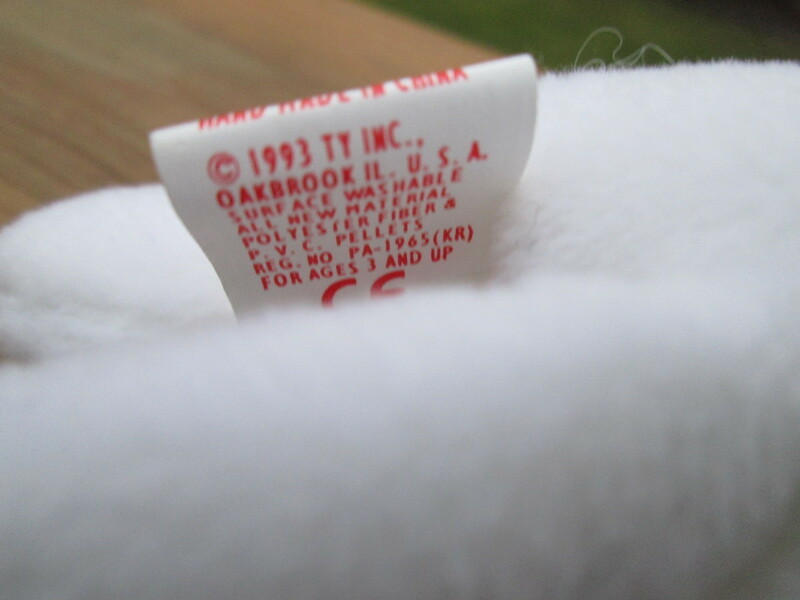 Tush Tags that are in nice condition can impact the value of the Beanie Baby as sometimes the Red ink will fade or the tag will have creases and wrinkles. 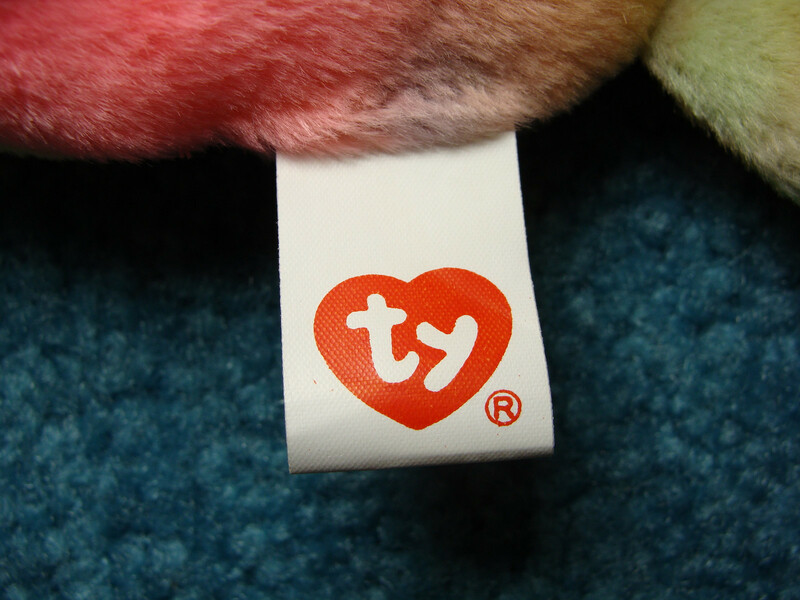 It’s a little difficult to notice, but at the bottom of this 2nd Generation Beanie Baby Tush Tag is the words “For Ages 3 And Up”. 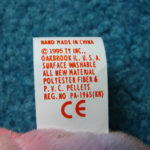 It’s believed that some of the very first 2nd Gen Tush Tags had this while the versions printed later did not. From all the 2nd Generation Tush Tags I’ve seen, the letters ‘CE’ is printed at the bottom. As a general rule Beanie Babies with the 2nd Generation Tush Tag are not worth as much as Beanie Babies with the 1st Generation Tush Tag. For one, if the toy has a 2nd Gen Tush Tag, it will also have a 3rd Generation Hang Tag. The popularity of Beanie Babies had caught fire a little bit and more of the 3rd Gen HT/2nd Gen TT plush toys were mass produced. Some of the popular Beanie Babies with a 2nd Generation Tush Tag are: Garcia The Bear which was a tye-dye themed bear that payed homage to Grateful Dead singer Jerry Garcia. Rex the Tyrannosaurus is a popular Beanie Baby and can sell in the $25-50 range depending on the condition.